International Association Of Independent Journalists Inc. :: View topic - Official Award Ceremony For 2010 IAIJ Journalist! Official Award Ceremony For 2010 IAIJ Journalist! 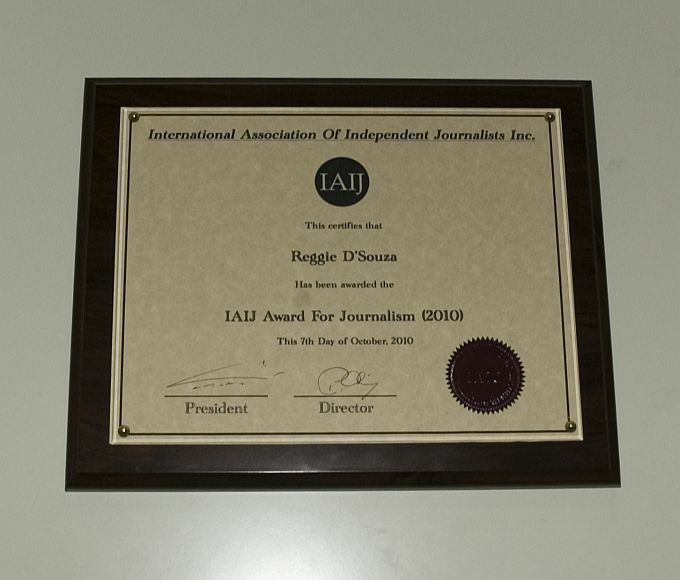 Posted: Sat Oct 30, 2010 10:39 am Post subject: Official Award Ceremony For 2010 IAIJ Journalist! 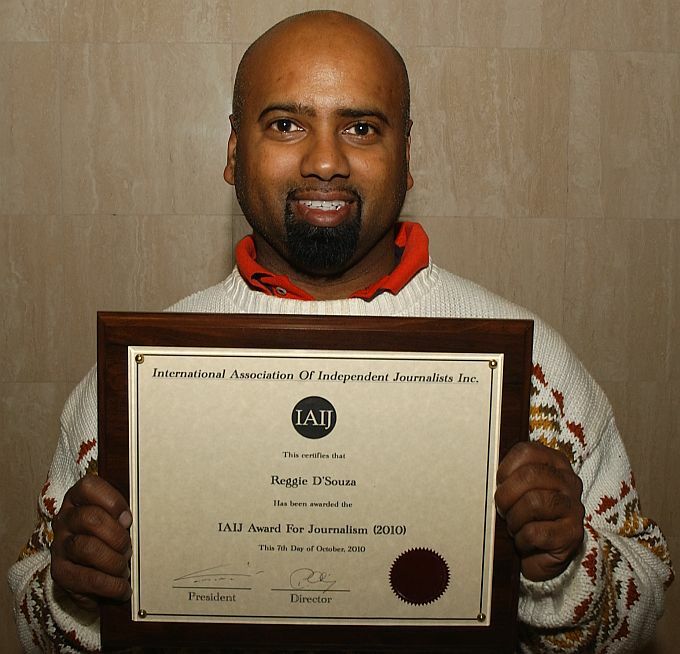 The International Association Of Independent Journalists Inc. officially awarded IAIJ member Reggie D'Souza the 2010 IAIJ Award For Journalism! The award was presented to Mr. D'Souza in Toronto, Canada on October 29, 2010. The IAIJ Award For Journalism! 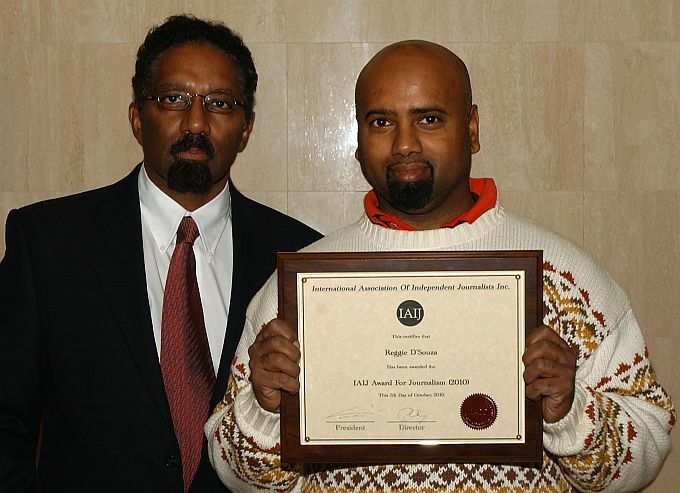 Reggie D'Souza was nominated and majority voted upon by the IAIJ Board of Directors for his article and experience at the G20 Summit in Toronto June 26, 2010. Mr. D'Souza was detained by police on June 26, 2010 at Queen Street and Spadnia Avenue for four hours while reporting on the protest at the area. Also detained were other journalists and protestors along with bystanders. That detention is now part of a public enquiry and possible class action lawsuit. So from all of us at this organization, congratulations Reggie D'Souza on winning your award! Reggie D'Souza with his award!